For any business student who wants something short and readable but also detailed. 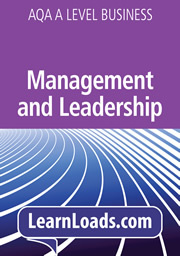 An e-book providing full coverage of Decision making to improve operational performance in the new AQA A Level Business. This e-book includes chapters on: operational objectives; improving operational efficiency and productivity; quality; inventory control and choosing suppliers; and operational flexibility and dependability.